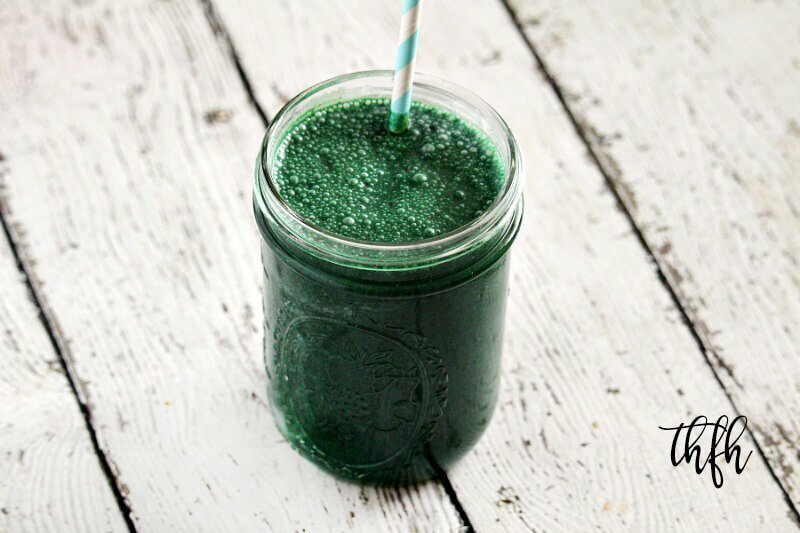 This Vegan Spirulina and Hemp Protein Smoothie is a super fast and easy, nutrient-dense smoothie recipe to start your day off right! 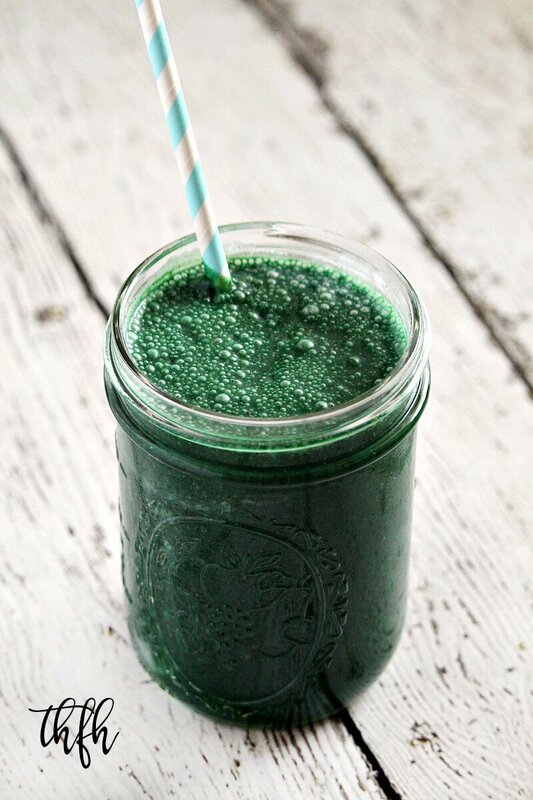 It will give you the plant-based protein and fiber as a base to your smoothie, a fruit serving as a natural sweetener and three superfoods: hemp, spirulina and maca powder. I used my Vitamix to make homemade almond milk, then again to make the smoothie, but feel free to use any non-dairy milk. The reason I love to use Nutivia Hemp Protein + Hi Fiber is because the only ingredient is 100% organic hemp protein which gives you 11 grams of plant-based protein and 12 grams of fiber in one serving. With only 1 ingredient! This healthy smoothie recipe is made with clean, real food ingredients and is raw, vegan, gluten-free, dairy-free, soy-free, lectin-free, paleo-friendly and contains no refined sugar. Want more healthy smoothie recipes? Check out Cacao and Pear Protein Smoothie, Chocolate Peanut Butter Protein Smoothie, Wild Blueberry and Mango Protein Smoothie or my Clean Eating Cookbook with an entire chapter of 20 healthy, clean eating smoothie recipes just like this one that you will love! 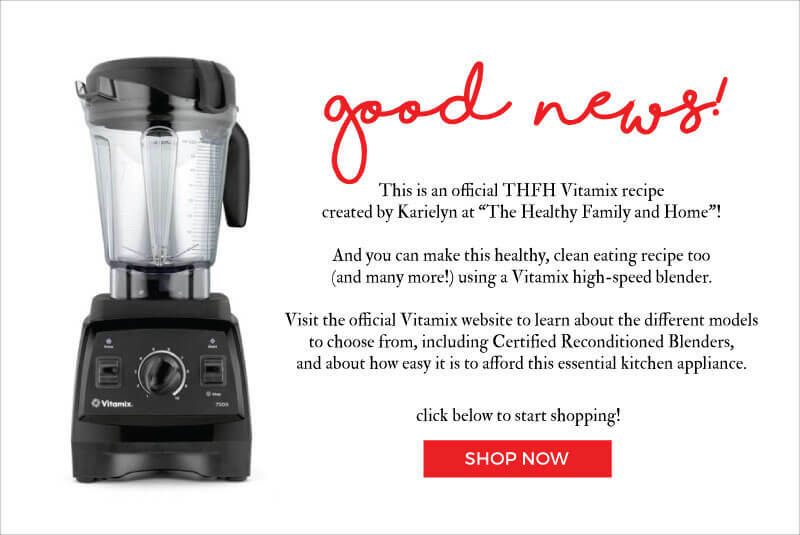 Add all ingredients to a Vitamix and blend until well combined. The recipe and photographs for "Vegan Spirulina and Hemp Protein Smoothie" by Karielyn Tillman of The Healthy Family and Home website are licensed under a Creative Commons Attribution Non-Commercial No Derivatives 4.0 International License and cannot be used without my written permission. Great list though, I’ve been wanting to implement Hemp into more of my shakes. Awesome ingredients, all. Very nice recipe.